December SWPPP Workshop – Register Now! Join us for our December Workshop! Space is limited so make sure to reserve your spot early! Register online via PayPal HERE. To register by mail, download the REGISTRATION FORM. 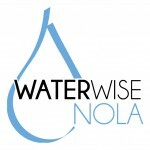 If you have any further questions, please email louisianastormwater@gmail.com.